It's Hellebore bloom time at Smith Gilbert Gardens. They are some of the first plants to bloom at the gardens and they are putting on quite the show. 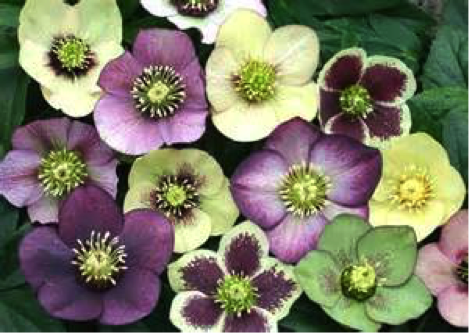 Hellebores, also called Lenten rose, are some of the most idiot-proof plants in the world. Unless you plant them in a bog, they just can't be killed. 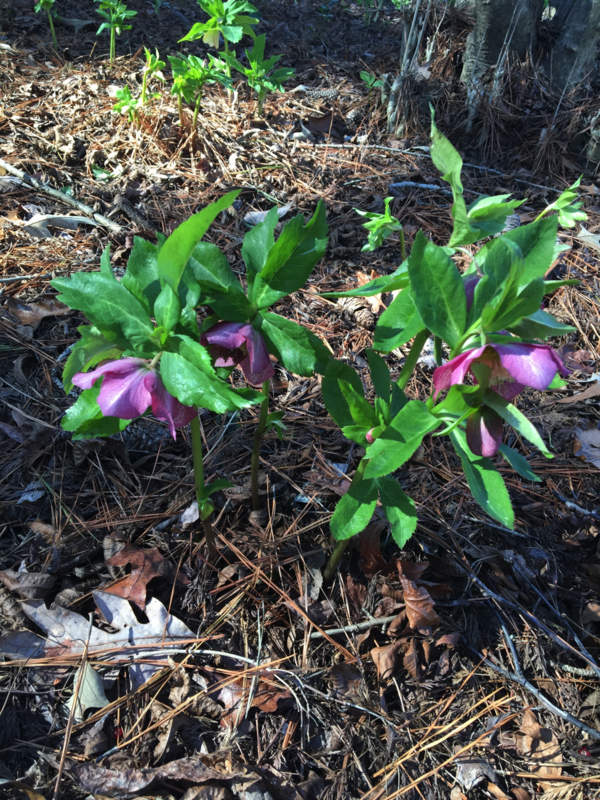 Hellebores are even deer resistant. If you live anywhere that is hot and dry then watering them will be the biggest challenge you face. Hellebores grow in every State in the U.S. 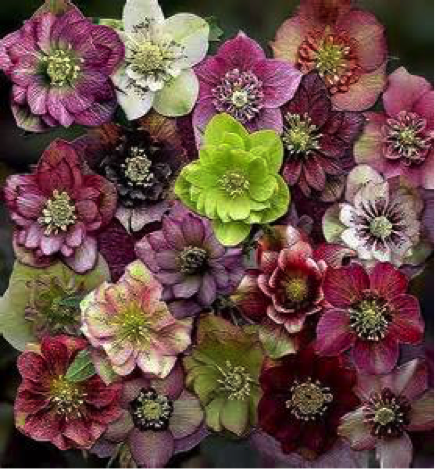 There are over 19 species of Hellebores but the ones most are familiar with are H. orientalis, and H. foetidus. They prefer rich, moist soil with good drainage and part to full shade. Mark the particular plant(s) you want to divide while they are flowering. Dig it up the following spring before flowering time—when the soil is just thawed and before they start to push buds. Wash the soil off so you can see where to make your divisions and make accurate cuts, using a sharp knife (a steak knife is fine). Be sure to leave a couple of buds on each division. If you have plenty of seedlings then wait until they have their first set of true leaves to transplant them. 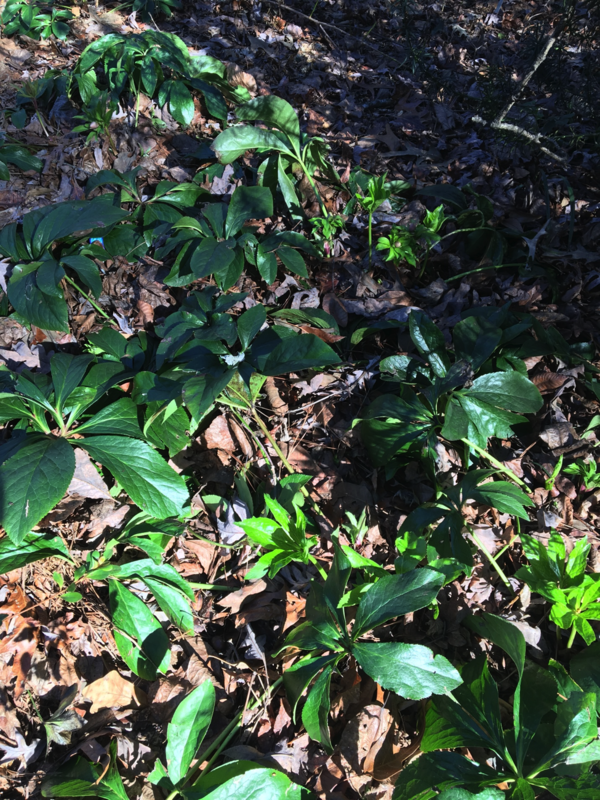 The only other maintenance Hellebores require comes before they start to bloom. It's a good idea to remove the old tattered foliage. That way the blooms really stand out and aren't hidden. After removal of foliage the blooms really stand out . There has been much breeding done lately, some of the newest ones are even double! If you want to have blooms to brighten your cold, grey winter than Hellebores are the flower for you. Known for their Hellebores, an excellent resource is Pine Knot Farms, pineknotfarms.com.